Stand out from the crowd with these valuable tips. With more than 50,000 applicants to medical school this year, only those with a compelling story will be selected to interview. Learn to create a sincere, interesting, and thoughtful personal statement that highlights your strengths and qualities. Whether you’re applying to AMCAS, TMDSAS, or AACOMAS essay lengths vary and personal statement prompts are fairly general. 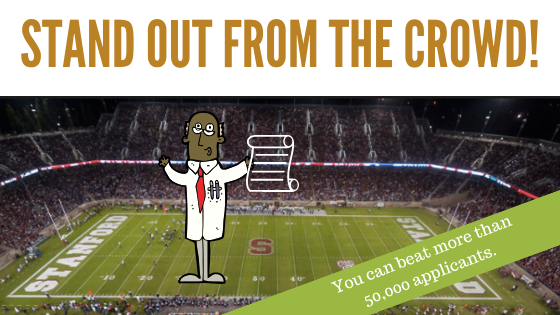 • What do you want medical schools to know about you that hasn’t been disclosed in other sections of the application? 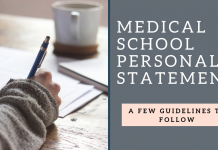 Need more help with your medical school personal statement? Sign up for a FREE 15 minute advising session. Your personal statement must be authentic, original, and written in your own style and voice. Since your personal statement will earn you a medical school interview, if your personality and disposition don’t “match” your personal statement tone, your interviewer might feel unsettled about your candidacy. That said, it is often helpful to read sample successful personal statements to get an idea of what admissions committees are looking for. Use the example personal statements for inspiration, but please don’t use them as templates or guides for writing your own. These personal statements are excerpts from The MedEdits Guide to Medical School Admissions. How to write a good medical school personal statement. Background: Amy was a traditional applicant and initially influenced by her mother, a doctor, this student has an interest in research, and global and public health. This student had a BCPM GPA of less than 3.4 and a 512 on the MCAT.. With distinguishing experiences including earning an MPH, and outstanding letters of reference, together with compelling written documents, she was able to overcome her low BCPM GPA earning multiple medical school interviews and acceptances. She was sprawled across the floor of her apartment. Scattered trash, decaying food, alcohol bottles, medication vials, and cigarette butts covered the floor. I had just graduated from college, and this was my first day on rotation with the forensic pathology department as a Summer Scholar, one of my most valuable activities on the path to medical school. As the coroner deputy scanned the scene for clues to what caused this woman’s death, I saw her distraught husband. I did not know what to say other than “I am so sorry.” I listened intently as he repeated the same stories about his wife and his dismay that he never got to say goodbye. The next day, alongside the coroner as he performed the autopsy, I could not stop thinking about the grieving man. Discerning a cause of death was not something I had previously associated with the practice of medicine. As a child, I often spent Saturday mornings with my mother, a surgeon, as she rounded on patients. I witnessed the results of her actions, as she provided her patients a renewed chance at life. I grew to honor and respect my mother’s profession. Witnessing the immense gratitude of her patients and their families, I quickly came to admire the impact she was able to make in the lives of her patients and their loved ones. I knew I wanted to pursue a career in medicine as my mother had, and throughout high school and college I sought out clinical, research, and volunteer opportunities to gain a deeper understanding of medicine. After volunteering with cancer survivors at Camp Ronald McDonald, I was inspired to further understand this disease. Through my oncology research, I learned about therapeutic processes for treatment development. Further, following my experience administering HIV tests, I completed research on point-of-care HIV testing, to be instituted throughout 26 hospitals and clinics. I realized that research often served as a basis for change in policy and medical practice and sought out opportunities to learn more about both. All of my medically related experiences demonstrated that people who were ‘behind the scenes’ and had limited or no clinical background made many of the decisions in health care. Witnessing the evolution of my mother’s career further underscored the impact of policy change on the practice of medicine. In particular, the limits legislation imposed on the care she could provide influenced my perspective and future goals. Patients whom my mother had successfully treated for more than a decade, and with whom she had long-standing, trusting relationships, were no longer able to see her, because of policy coverage changes. Some patients, frustrated by these limitations, simply stopped seeking the care they needed. As a senior in college, I wanted to understand how policy transformations came about and gain the tools I would need to help effect administrative and policy changes in the future as a physician. It was with this goal in mind that I decided to complete a master’s in public health program before applying to medical school. As an MPH candidate, I am gaining insight into the theories and practices behind the complex interconnections of the healthcare system; I am learning about economics, operations, management, ethics, policy, finance, and technology and how these entities converge to impact delivery of care. A holistic understanding of this diverse, highly competitive, market-driven system will allow me, as a clinician, to find solutions to policy, public health, and administration issues. I believe that change can be more effective if those who actually practice medicine also decide where improvements need to be made. For example, as the sole intern for the emergency department at County Medical Center, I worked to increase efficiency in the ED by evaluating and mapping patient flow. I tracked patients from point of entry to point of discharge and found that the discharge process took up nearly 35% of patients’ time. By analyzing the reasons for this situation, in collaboration with nurses and physicians who worked in the ED and had an intimate understanding of what took place in the clinical area, I was able to make practical recommendations to decrease throughput time. The medical center has already implemented these suggestions, resulting in decreased length of stays. This example illustrates the benefit of having clinicians who work ‘behind the scenes’ establish policies and procedures, impacting operational change and improving patient care. I will also apply what I have learned through this project as the business development intern at Another Local Medical Center this summer, where I will assist in strategic planning, financial analysis, and program reviews for various clinical departments. Through my mother’s career and my own medical experiences, I have become aware of the need for clinician administrators and policymakers. My primary goal as a physician will be to care for patients, but with the knowledge and experience I have gained through my MPH, I also hope to effect positive public policy and administrative changes. 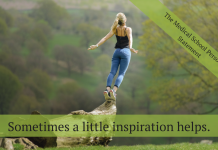 Paragraphs 1 and 2: Amy started her personal statement by illustrating a powerful experience she had when she realized that medical caregivers often feel impotent, and how this contrasted with her understanding of medicine as a little girl going with her mother to work. Recognition of this intense contrast also highlights Amy’s maturity. Paragraph 3: Amy then “lists” a few experiences that were important to her. Paragraph 4: Amy describes the commonality in some of her experiences and how her observations were substantiated by watching the evolution of her mother’s practice. She then explains how this motivated her to earn an MPH so she could create change more effectively as a physician than as a layman. Paragraph 5: Amy then explains how her graduate degree is helping her to better understand the “issues in medicine” that she observed. Paragraph 6: Amy then describes one exceptional accomplishment she had that highlights what she has learned and how she has applied it. Paragraph 7: Finally, Amy effectively concludes her personal statement and summarizes the major topics addressed in her essay. As you can see, Amy’s statement has excellent flow, is captivating and unusual, and illustrates her understanding of, and commitment to, medicine. 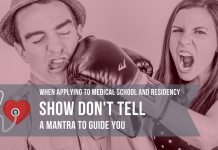 She also exhibits, throughout her application entries and statement, the personal competencies, characteristics, and qualities that medical school admissions officers are seeking. Her application also has broad appeal; reviewers who are focused on research, cultural awareness, working with the underserved, health administration and policy, teaching, or clinical medicine would all find it of interest. Background: This is a nontraditional applicant who applied to osteopathic medical schools. With a 500 and a 504 on the MCAT, he needed to showcase how his former career and what he learned through his work made him an asset. He also needed to convey why osteopathic medicine was an ideal fit for him. The student does an excellent job illustrating his commitment to medicine and explaining why and how he made the well-informed decision to leave his former career to pursue a career in osteopathic medicine. Working as a police officer, one comes to expect the unexpected, but sometimes, when the unexpected happens, one can’t help but be surprised. In November 20XX, I had been a police officer for two years when my partner and I happened to be nearby when a man had a cardiac emergency in Einstein Bagels. Entering the restaurant, I was caught off guard by the lifeless figure on the floor, surrounded by spilled food. Time paused as my partner and I began performing CPR, and my heart raced as I watched color return to the man’s pale face. Luckily, paramedics arrived within minutes to transport him to a local hospital. Later, I watched as the family thanked the doctors who gave their loved one a renewed chance at life. That day, in the “unexpected,” I confirmed that I wanted to become a physician, something that had attracted me since childhood. I have always been enthralled by the science of medicine and eager to help those in need but, due to life events, my path to achieving this dream has been long. My journey began following high school when I joined the U.S. Army. I was immature and needed structure, and I knew the military was an opportunity to pursue my medical ambitions. I trained as a combat medic and requested work in an emergency room of an army hospital. At the hospital, I started IVs, ran EKGs, collected vital signs, and assisted with codes. I loved every minute as I was directly involved in patient care and observed physicians methodically investigating their patients’ signs and symptoms until they reached a diagnosis. Even when dealing with difficult patients, the physicians I worked with maintained composure, showing patience and understanding while educating patients about their diseases. I observed physicians not only as clinicians but also as teachers. As a medic, I learned that I loved working with patients and being part of the healthcare team, and I gained an understanding of acute care and hospital operations. Following my discharge in 20XX, I transferred to an army reserve hospital and continued as a combat medic until 20XX. Working as a medic at several hospitals and clinics in the area, I was exposed to osteopathic medicine and the whole body approach to patient care. I was influenced by the D.O.s’ hands-on treatment and their use of manipulative medicine as a form of therapy. I learned that the body cannot function properly if there is dysfunction in the musculoskeletal system. In 20XX, I became a police officer to support myself as I finished my undergraduate degree and premed courses. While working the streets, I continued my patient care experiences by being the first to care for victims of gunshot wounds, stab wounds, car accidents, and other medical emergencies. In addition, I investigated many unknown causes of death with the medical examiner’s office. I often found signs of drug and alcohol abuse and learned the dangers and power of addiction. In 20XX, I finished my undergraduate degree in education and in 20XX, I completed my premed courses. Wanting to learn more about primary care medicine, in 20XX I volunteered at a community health clinic that treats underserved populations. Shadowing a family physician, I learned about the physical exam as I looked into ears and listened to the hearts and lungs of patients with her guidance. I paid close attention as she expressed the need for more PCPs and the important roles they play in preventing disease and reducing ER visits by treating and educating patients early in the disease process. This was evident as numerous patients were treated for high cholesterol, elevated blood pressure, and diabetes, all conditions that can be resolved or improved by lifestyle changes. I learned that these changes are not always easy for many in underserved populations as healthier food is often more expensive and sometimes money for prescriptions is not available. This experience opened my eyes to the challenges of being a physician in an underserved area. The idea of disease prevention stayed with me as I thought about the man who needed CPR. Could early detection and education about heart disease have prevented his “unexpected” cardiac event? My experiences in health care and law enforcement have confirmed my desire to be an osteopathic physician and to treat the patients of the local area. I want to eliminate as many medical surprises as I can. What’s Good About It: A nontraditional student with a former career, this applicant does a great job outlining how and why he decided to pursue a career in medicine. Clearly dedicated to service, he also does a great job making it clear he is a good fit for osteopathic medical school and understands this distinctions of osteopathic practice. Background: This applicant who grew up with modest means, should be an inspiration to us all. Rather than allowing limited resources to stand in his way, he took advantage of everything that was available to him. He commuted to college from home and had a part-time job so he was stretched thin, and his initial college performance suffered. However, he worked hard and his grades improved. 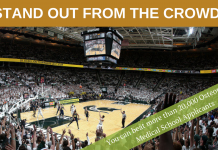 Most medical school admissions committees seek out applicants like this because, by overcoming adversity and succeeding with limited resources, they demonstrate exceptional perseverance, maturity, and dedication. His accomplishments are, by themselves, impressive and he does an outstanding job of detailing his path, challenges, and commitment to medicine. He received multiple acceptances to top medical schools and was offered scholarships. They were learning the basics of carpentry and agriculture. The air was muggy and hot, but these young boys seemed unaffected, though I and my fellow college students sweated and often complained. As time passed, I started to have a greater appreciation for the challenges these boys faced. These orphans, whom I met and trained in rural Central America as a member of The Project, had little. They dreamed of using these basic skills to earn a living wage. Abandoned by their families, they knew this was their only opportunity to re-enter society as self- sufficient individuals. I stood by them in the fields and tutored them after class. And while I tried my best to instill in them a strong work ethic, it was the boys who instilled in me a desire to help those in need. They gave me a new perspective on my decision to become a doctor. I don’t know exactly when I decided to become a physician; I have had this goal for a long time. I grew up in the inner city of A City, in Texas and attended magnet schools. My family knew little about higher education, and I learned to seek out my own opportunities and advice. I attended The University with the goal of gaining admission to medical school. When I started college, I lacked the maturity to focus on academics and performed poorly. Then I traveled to Central America. Since I was one of the few students who spoke Spanish, many of the boys felt comfortable talking with me. They saw me as a role model. The boys worked hard so that they could learn trades that would help them to be productive members of society. It was then I realized that my grandparents, who immigrated to the US so I would have access to greater opportunities, had done the same. I felt like I was wasting what they had sacrificed for me. When I returned to University in the fall, I made academics my priority and committed myself to learn more about medicine. Through my major in neuroscience, I strengthened my understanding of how we perceive and experience life. In systems neurobiology, I learned the physiology of the nervous system. Teaching everything from basic neural circuits to complex sensory pathways, Professor X provided me with the knowledge necessary to conduct research in Parkinson’s disease. My research focused on the ability of antioxidants to prevent the onset of Parkinson’s, and while my project was only a pilot study at the time, Professor X encouraged me to present it at the National Research Conference. During my senior year, I developed the study into a formal research project, recruiting the help of professors of statistics and biochemistry. Working at the School of Medicine reinforced my analytical skills. I spent my summer in the department of emergency medicine, working with the department chair, Dr. Excellent. Through Dr. Excellent’s mentorship, I participated in a retrospective study analyzing patient charts to determine the efficacy of D-dimer assays in predicting blood clots. The direct clinical relevance of my research strengthened my commitment and motivated my decision to seek out more clinical research opportunities. A growing awareness of the role of human compassion in healing has also influenced my choice to pursue a career in medicine. It is something no animal model or cell culture can ever duplicate or rival. Working in clinical research has allowed me to see the selflessness of many physicians and patients and their mutual desire to help others. As a research study assistant in the department of surgery, I educate and enroll patients in clinical trials. One such study examines the role of pre-operative substance administration in tumor progression. Patients enrolled in this study underwent six weeks of therapy before having the affected organ surgically excised. Observing how patients were willing to participate in this research to benefit others helped me understand the resiliency of the human spirit. Working in clinical trials has enabled me to further explore my passion for science, while helping others. Through my undergraduate coursework and participation in volunteer groups I have had many opportunities to solidify my goal to become a physician. As I am working, I sometimes think about my second summer in Central America. I recall how one day, after I had turned countless rows of soil in scorching heat, one of the boys told me that I was a trabajador verdadero—a true worker. I paused as I realized the significance of this comment. While the boy may not have been able to articulate it, he knew I could identify with him. What the boy didn’t know, however, was that had my grandparents not decided to immigrate to the US, I would not have the great privilege of seizing opportunities in this country and writing this essay today. I look forward to the next step of my education and hope to return home to Texas where I look forward to serving the communities I call home. What’s Good About It: This student does a great job opening his personal statement with a beautifully written introduction that immediately takes the reader to Central America. He then explains his path, why he did poorly early in college, and goes on to discuss his academic interests and pursuits. He is also clearly invested in research and articulates that he is intellectually curious, motivated, hard working, compassionate and committed to a career in medicine by explaining his experiences using interesting language and details. This is an intriguing statement that makes clear the applicant is worthy of an interview invitation. Finally, the student expresses his interest in attending medical school in Texas. Need Help Writing/Editing Your Personal Statement? I hope you learned from my article. Feel free to post your questions and comments below. My name is Parker, and I’m a junior Mississippi State University in Starkville, MS. I am currently working on my application for this cycle of medical school applications. I have a rough draft of a personal statement that I have been working on, but I really would like some professional feedback on it. Would you mind taking a look at it and offering some constructive criticism for it? I would greatly appreciate it! I am Amanda Cordero, a junior at the University of Nevada, Las Vegas. I am working on my personal statement for the 2020 application cycle. I know it is a little early, but I was wondering if you would be able to take a look at it? I have not shown anyone yet so it is a very rough draft however I would appreciate any feedback you’d have to offer.